Most of us hate bugs, but children seem to love them (1). There is something that attracts children towards all those creepy crawlers. That is a good thing as children can learn a lot about insects because of this fascination. But for parents, insects are not just something repulsive but also dangerous. Insect bites are something you’ll have to live with as a mother. Fortunately, most insect bites are benign and heal without much effort. But sometimes, insect bites can become serious. One of the most common problems arising from insect bites is Papular Urticaria. If your child is sensitive to insect bites, she may show symptoms of papular urticaria. This peculiar condition affects mostly children (2). The unique thing about this skin issue is that a bug bite can lead to the eruption of older bug bite sites. 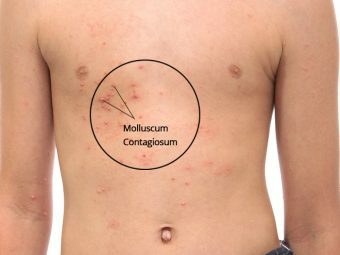 So, it may appear that a dozen bugs have bitten your child, but in reality the hives covering her body may well be the result of a single insect bite! Papular Urticaria is the body’s immune response to a bug bite. 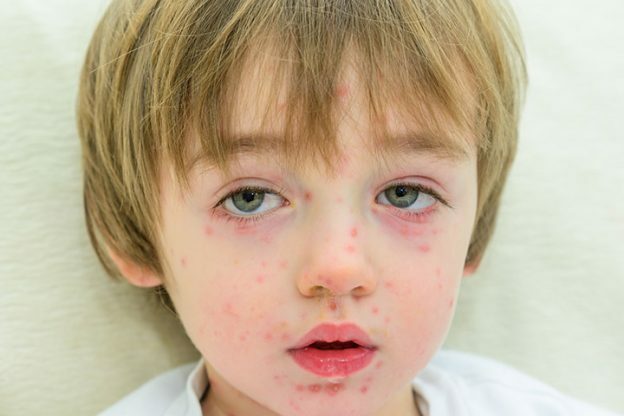 Yes, if your child gets a diagnosis of popular urticaria, it means she is allergic to insect bites. So, don’t worry. This skin condition is not contagious. There are millions of bugs in the world. But the ones you need to watch out for are the ones most commonly found. 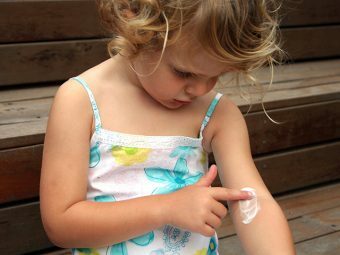 Fleas, chiggers, mosquitoes, mites, bedbugs, gnats, and animal lice – all can lead to a breakout in your child. It is difficult to protect your child from these invisible bugs. But if you have a cat at home, the culprit may well be hiding in its luxurious fur! Studies indicate that cat flea, also called Ctenocephalides felis, is the biggest culprit behind instances of papular urticaria(3). But other insects too can cause this allergic reaction. Bird mites, caterpillars, and carpet beetles are known to cause papular urticaria as well. Small, raised patches on the skin that becomes firm and reddish. Hives at the site of old insect bites. Itchy bumps on the skin. Most of these bumps and hives come in clusters. You will mostly find them on the exposed part of the body like the face, neck, arms, and legs. An interesting fact about these rashes is that they affect the upper layer of the skin. A topical steroid cream is the first course of treatment to get relief from the itchy spots. Apply this cream as soon as you notice hives. If your child is complaining of severe itching, your doctor may prescribe an antihistamine. This should be given to your child at night. 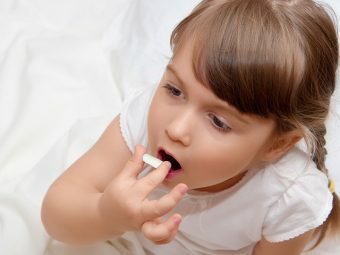 If the rashes get infected, you may be prescribed a dose of antibiotic cream. Make sure your house is free of insects. You can also talk to your child’s school to make it safe for your child. If you have a dog or cat home, use a cleanser containing pyrethroid. Follow it up by vacuuming. Dress your child in full sleeved tops and full pants while outside. Apply insect repellent to prevent insect bites while outdoors. With these preventive measures, the risk of papular urticaria will decrease manifold. And if your child does get a breakout, remember that it will pass. Most children grow accustomed to insect bites and their bodies soon adjust. Within a few years, papular urticaria will be just a memory! 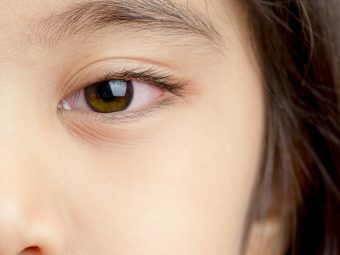 Has your child shown symptoms of papular urticaria? What treatment plan did you follow? Our readers would love to know!